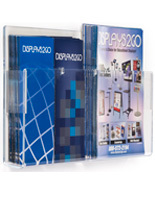 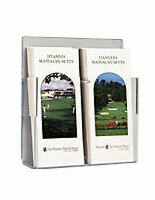 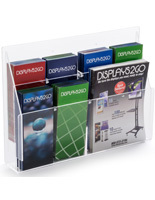 This hanging pamphlet rack that is a brochure holder is configurable for varied sizes of collateral publications due to the pegged dividers. 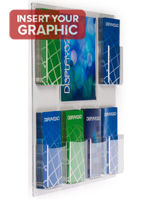 Adjust these literature displays efficiently from three newsletter-sized stacks of documents to six groupings of trifolds. 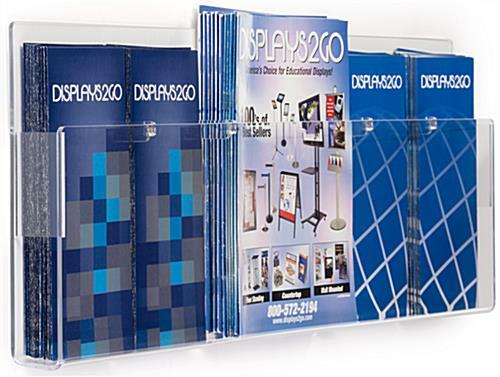 This hanging pamphlet rack, also known as a professional acrylic mount, has a beautiful, clear design that makes it easy for customers to view promotional materials. 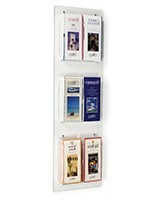 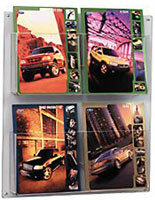 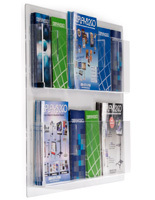 This pamphlet rack for a retail showroom or office has clear pockets that offer easy viewing of contents! 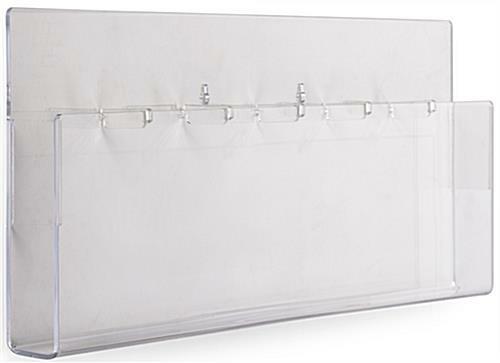 27.5" x 14.5" x 1.8"